As promised, OnePlus is bringing its new On-Guard warranty program to the U.S. and Canada. The company announced the news on Thursday after unveiling the service in Europe earlier this month. 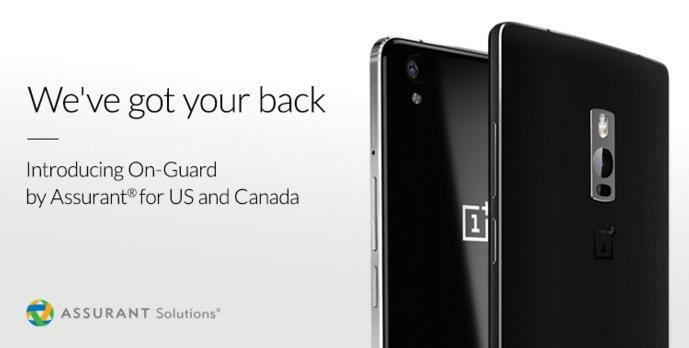 On-Guard is currently only available for new copies of the OnePlus 2 and OnePlus X. The company is offering several different tiers that cover 12, 18 or 24 months and vary in price depending on which device you buy. Each plan includes Extended Service Coverage (ESC), which covers hardware failures and any issues with the materials and workmanship of the specific unit. That’s followed by a period of coverage for Accidental Damage from Handling (ADH), which includes drops, spills and cracked screens. OnePlus notes that, for now, it can’t offer any sort of grace period for people who recently bought a phone and want to add On-Guard protection. However, the company says it’s working with the insurance provider, Assurant Solutions, to add this option soon. If you’re planning to buy a OnePlus 2 or OnePlus X in the near future, you should see the On-Guard option pop up in the company’s online store. Of course, you’ll have to score an invitation first before you even think about signing up for a device warranty, which, as we know by now. is no easy task.